My name is Maia Hickson, and fire seems to follow me everywhere I go. It took my parents, it took my foster home (good riddance), and now I was on my own again. No big deal, I like it better that way anyway. Nothing important ever seems to happen to me, but after twenty years on hiatus, my favourite punk band is finally releasing a new album. They’re not touring and I’ve got just enough cash to get me to New York. Seems like fate, right? With her best friend trying to come to terms with being a newly minted vampire, and her boss pressuring her to take a management position at the coffee shop, not to mention the approach of her boyfriend’s new album release party, Ophelia Turner has enough on her plate right now… and she definitely doesn’t have time to deal with anything else, but she might not have a choice. 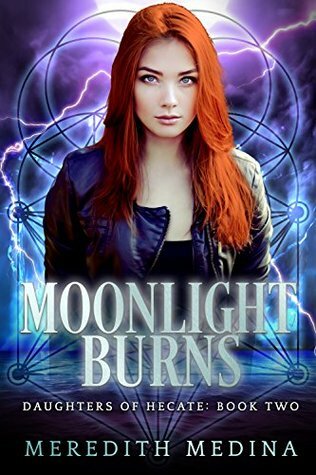 Moonlight Burns is a standalone Urban Fantasy novel featuring witchcraft, ancient witches and a healthy dose of attitude. Follow Opheila Turner’s adventures with the Daughters of Hecate. Opheila Turner, Fee is a 330+ year old witch and a daughter of Hectate. She lives with a newly turned vampire, Lacey. We also meet Maia Hickson that has a past of fire and foster care. Her favorite band has not released anything new in twenty years but they are going to be releasing a new album. 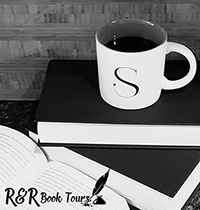 Maia takes her savings and heads to New York for this release but finds herself crossing paths with Malleus, witch hunters. Fee has spent most of her years avoiding everything. But now she has her friend that is freshly turned into a vampire and then the addition of a new, headstrong witch. That is enough to keep her busy but then you have to add in the Malleus. Lacey keeps everything light with her snarkiness, I just loved her. Then you have Maia, you can’t help but feel for her being bounced around in foster care. Fee has her hands full but I love how the three women become fast friends. I really liked the background for the Daughters of Hectate. I have not read other books in this series but I will definitely be catching up. Moonlight Burns is a great story that could be read as a standalone. But I think you would get more out of it if you read the rest of the series.